Take a look at this picture of Caleb. I mean… does he have a care in the world? I think NOT. 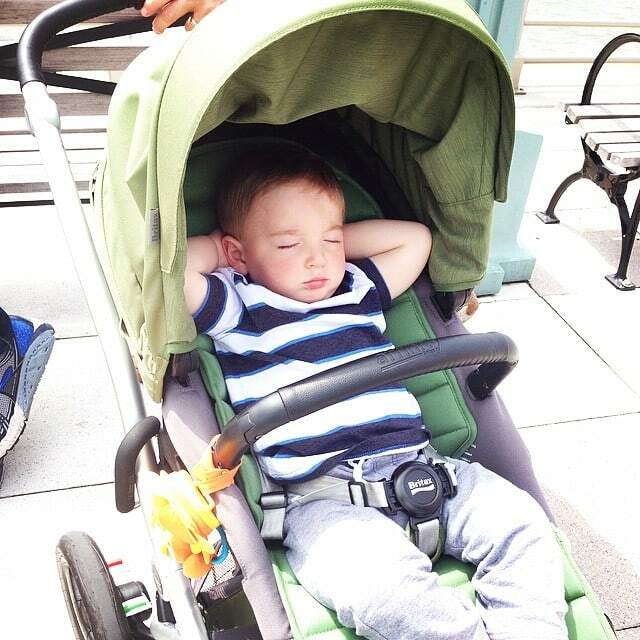 We were at the park over the weekend and he fell fast asleep in his stroller. Bill and I found him in this position and he remained that way for HOURS. People were stopping us and commenting on his cuteness. Of course I had to agree. His feet are crossed too. You can’t really see that in the photo but they are. I can’t! There are a few things to learn from this photo. I need to take more naps. I need to start relaxing more. I need to just sit back and enjoy the moment. It’s ok to slow down and soak in the sun. Ha! Who knew my one year old would have so many lessons to teach me? Love it!